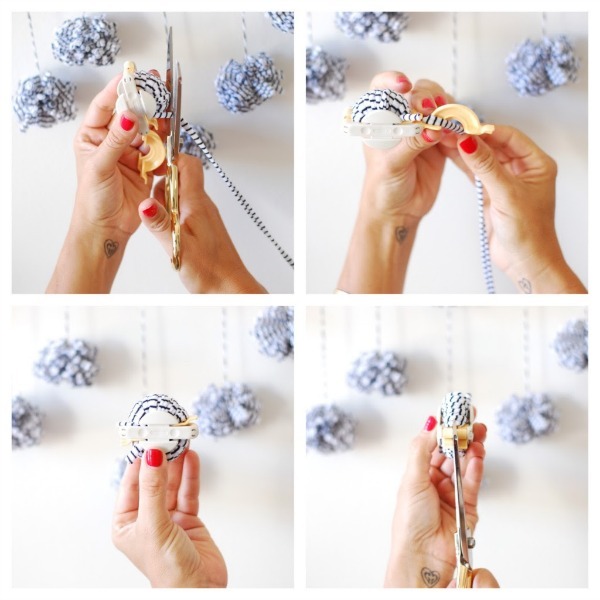 My DIY contributor Laura is back today with the cutest summer project. 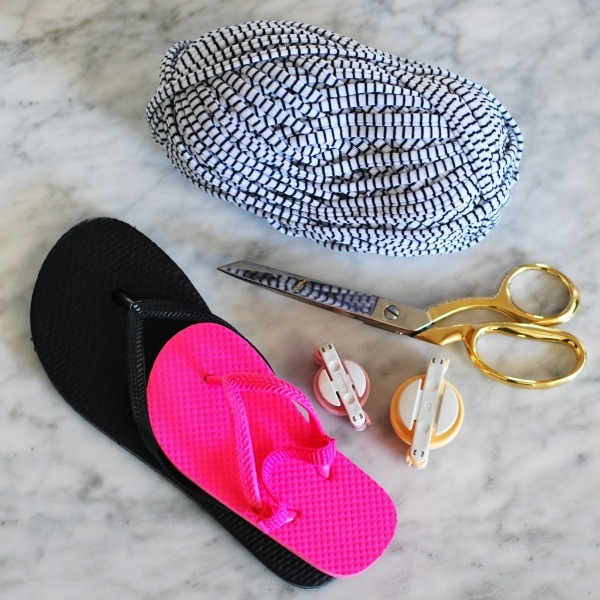 And if your anything like me and live in flip flops in the summer, you will love the flair she adds to plain ol’ flip flops. 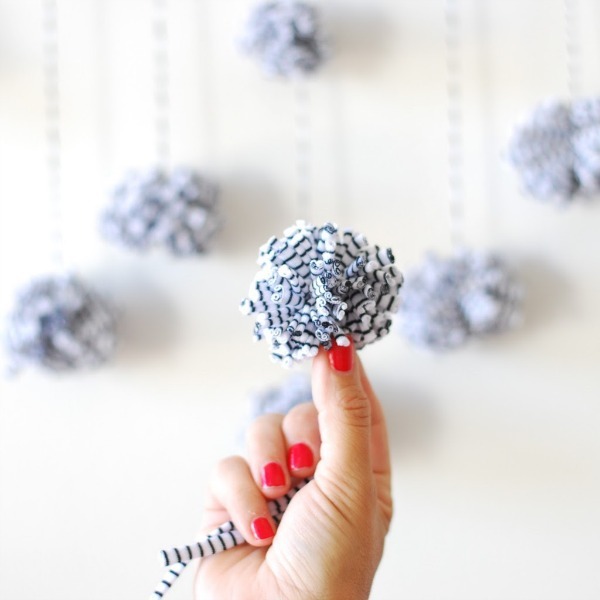 Yep, pretty much putting pom pom’s on anything and everything I can get my hands on! So when I looked down at my sad black flip flops, I knew they would be the perfect place to pom bomb! 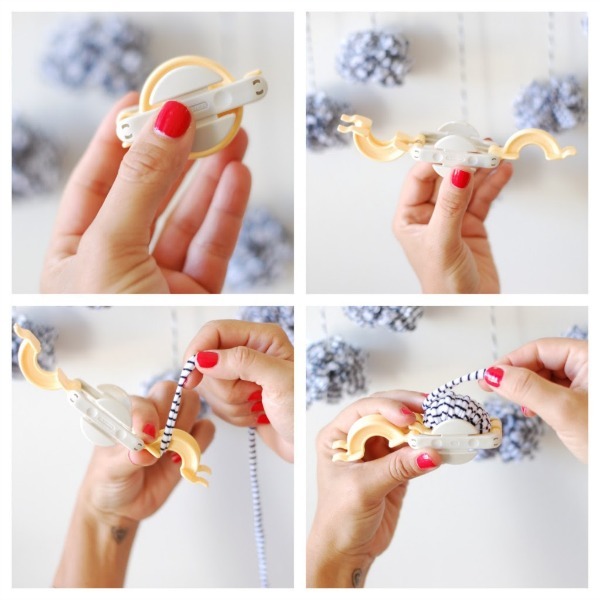 An amazing thing about this DIY is that you don’t need much! When your done wrapping the first side, cut off your excess yarn. Repeat on the other side! Then cut off your excess yarn again. 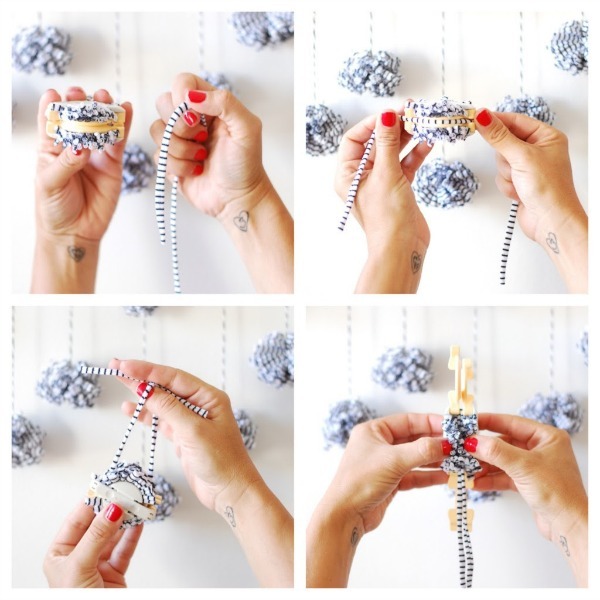 Take your wrapped maker and trim up the center! 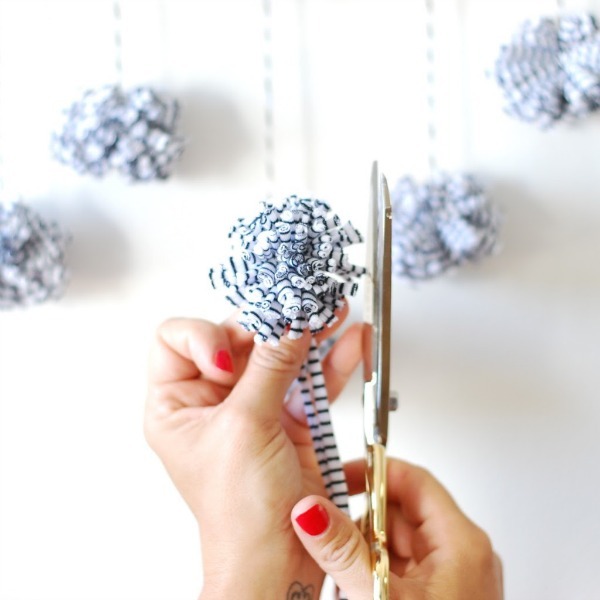 Once you have your flop wrapped tie your pom onto the center with a simple knot! Custom, inexpensive, done YOURSELF, flip flops! I promise you and yours will love this project! And what a great craft for a summer party or bridal shower! Can’t wait to craft with you again! SOO cute. Love the mini you matching style!!! I’m all about twinning! Thanks for stopping by!! !